Most people assume the only jobs in the healthcare industry are those of doctors, nurses, and other medical experts who work with and assist patients. However, the medical field also offers plenty of roles for those who prefer working behind the scenes – and even those who enjoy technology. Healthcare management is a prime example of these less commonly known careers, and it’s one of the fastest growing fields in medical care today. These days, more people are pursuing degrees in health care management than ever before, and it’s easy to understand why thanks to the following perks of joining the healthcare management field. According to the U.S. Bureau of Labor Statistics¹, the field of medical and healthcare services management is projected to grow 20 percent by the year 2026, creating an additional 72,100 jobs in this industry alone. Therefore, job prospects for people who earn healthcare management degrees now will be exceptional for years to come. 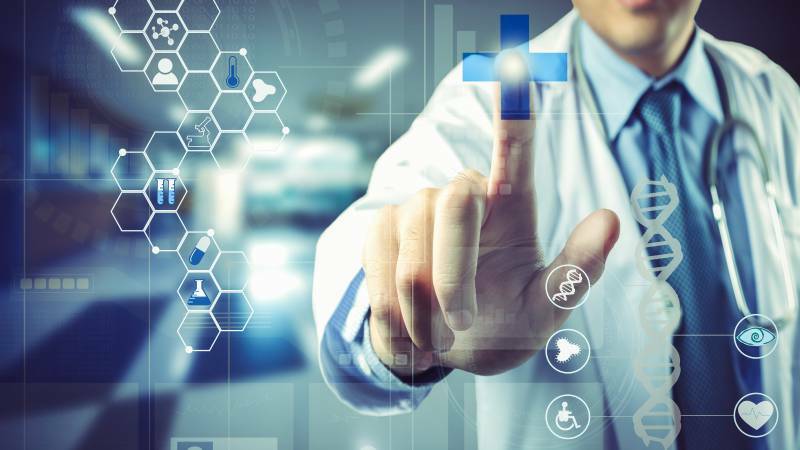 Improvements in technology: As healthcare becomes increasingly reliant on information technology, those with educational backgrounds in healthcare information and management are more necessary than ever. Population growth: The population of the U.S. is growing every year, and millions more people will be born in the next decade. Everyone needs healthcare, so this bodes well for anyone who works in the field. Aging population: Perhaps the biggest factor contributing the rise of healthcare management is the huge spike in the number of people aged 65 and over that’s presently occurring. The number of individuals age 65 and over is expected to increase by 40 percent from 2012 to 2022 according to the U.S. Census Bureau². Many have chronic illnesses, so demand for healthcare professionals across all positions will continue to rise for the foreseeable future. The vast majority of people who hold degrees in healthcare management and information technology work in medical facilities. In places like hospitals, home health care agencies, physician group practices, and nursing homes, these individuals have a direct and profound impact on the quality of care patients receive. As a healthcare administrator or manager at such a facility, you’ll manage and coordinate services that make differences in patients’ lives while also ensuring the facility adheres to healthcare regulations, laws, and technologies. Those who decide to pursue healthcare management enjoy many opportunities to make a difference — often at a much higher level. For example, they often hold positions in public health departments, where they have influence and input into policies that affect thousands of people. If you would enjoy a role in shaping public health policies, then, obtaining a degree in healthcare management is a great starting point. From the public sector to the private sector, there are plenty of career options and opportunities available in healthcare management and information technology. People with degrees in this area often find positions working for insurance providers, pharmaceutical companies, consulting firms, and even companies that provide medical equipment and supplies. With a degree in healthcare management, you aren’t limited to finding work in one area; you can take your pick from positions that span an incredible array of industries and niches. Medical Services Manager: Also referred to as healthcare administrators or executives, these professionals plan, direct, and coordinate health and medical services for entire facilities as well as clinical departments and medical practices. Clinical Director: These professionals develop and oversee an organization’s clinical departments, and their duties include hiring, evaluating, scheduling, and supervising employees. Medical Records Administrator: Many who earn degrees in healthcare management start out as medical record managers. Also known as health information technicians, these professionals organize and manage health information data. Practice Administrator: These professionals are charged with handling the daily activities of the medical facilities they oversee. This includes ensuring the facility is properly staffed, which means working to recruit qualified physicians, nurses, and office staff. Managed Care Analyst: If you have a knack for working with numbers, you can become a managed care analyst who gathers and studies medical data for employers across many different fields. You’ll provide insights to your employers about different ways to improve services. The first step in pursuing a career in healthcare management is earning a degree from a college or university. The best programs are those accredited by one of the following organizations: The Council on Education for Public Health, or CEPIT; The Commission on Accreditation in Healthcare Management Education, or CAHME; and the Association to Advance Collegiate Schools of Business, or AACSB. A degree will make you eligible for many entry-level positions in the field, and you can begin gaining experience while you complete your education. One of the easiest and most affordable ways to earn your degree is via an online college program. These programs let students take classes online, whenever it suits their schedules, and set their own pace. If you’re looking for a four-year degree that provides a wide array of employment opportunities in healthcare yet also includes a technology focus, pursuing a bachelor’s degree in healthcare management or healthcare information management may be the answer. With this under your belt, you’ll be eligible for a variety of roles in health care management. Interested in a degree in healthcare management and information technology? Start a search today.